Thursday, April 11, 2019, 7:00 p.m. - 8:00 p.m. Associate Principal Christian Hoenigschmid has been with Grimshaw for nearly two decades. 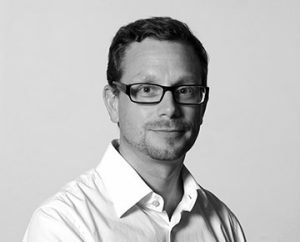 Initially based in the London studio, and in New York since 2004, he has overseen design and management of a diversity of landmark projects in the studio’s portfolio. His early Grimshaw work included such relevant projects as the Airside Centre at Zurich Airport, a Cancer Research Institute for University College London and the Experimental Media & Performing Arts Center (EMPAC) for Rensselaer Polytechnic Institute. Recently, he oversaw the design and now construction of University of Florida’s Wertheim Laboratory for Engineering Excellence. Before that, he delivered a ‘Museum of Steel’ in Monterrey/Mexico—the “horno3: Museo del Acero”—as well as the Frost Museum of Science from competition to completion. The UCF Architecture program is a 2+2+2 program, with Valencia College and the University of Florida. Students travel, take classes and are provided internship opportunities. To learn more about the Bachelor of Design in Architecture program, visit svad.cah.ucf.edu/program/architecture.